Thomas is aboard the vessel the Hawk and gives his occupation as Craneman. 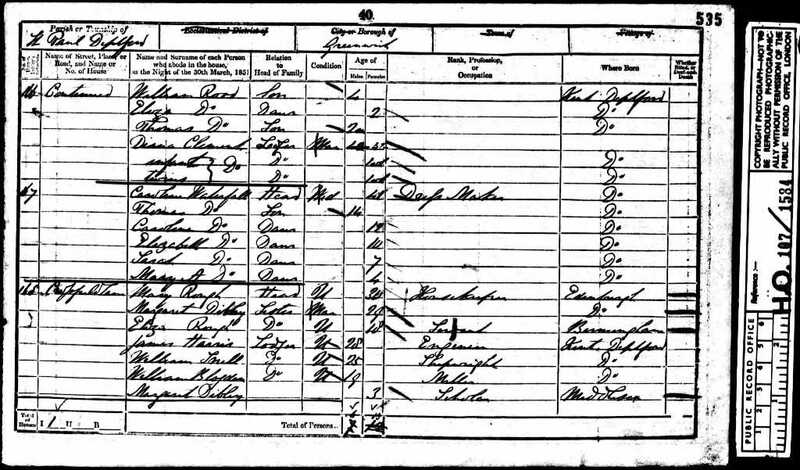 [S13] Baptisms of Deptford St Paul, (Ancestry.com). 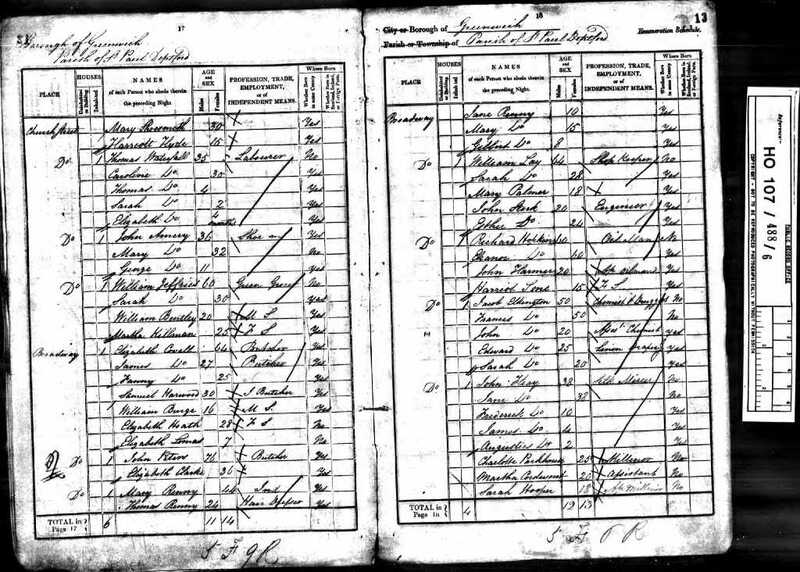 [S9] 1841 Census, (Ancestry.co.uk), HO107., HO107/488 Book 6 Folio: 12 Page: 17 (Reliability: 2). 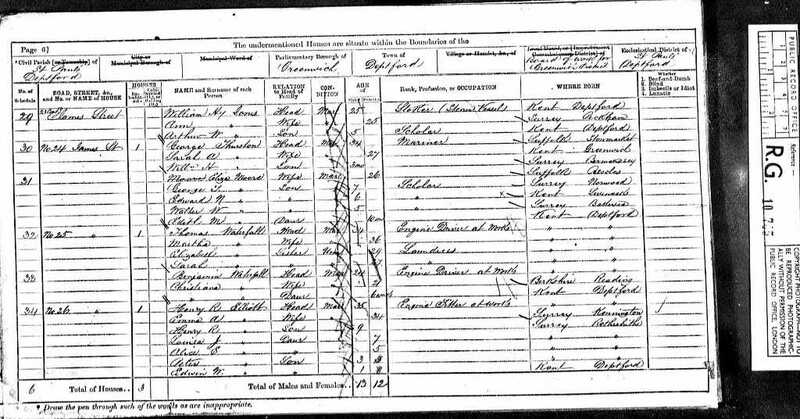 [s38] 1881 Census, (Ancestry.co.uk), RG11., RG11/883 folio 38 pg 1. 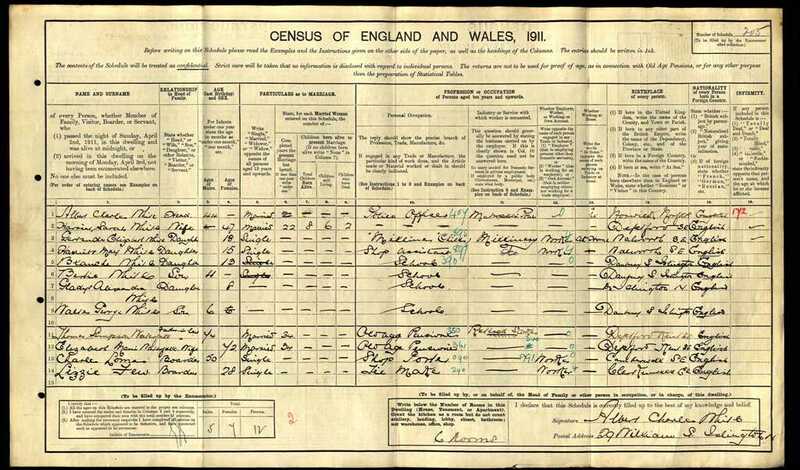 [S7] 1901 Census, (Ancestry.co.uk), RG13., RG13/385 Folio: 33 Page: 57 (Reliability: 2). 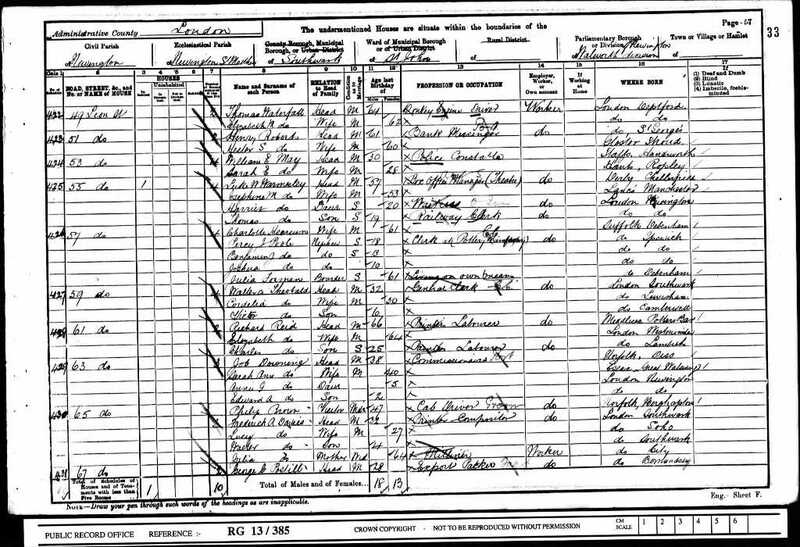 [S1] Death Indexes, (Ancestry.com), September 1924 Greenwich 1d 728 (88 years). [S30] Marriages of Bermondsey St James, (Ancestry.com), P71/JS, Item 024. 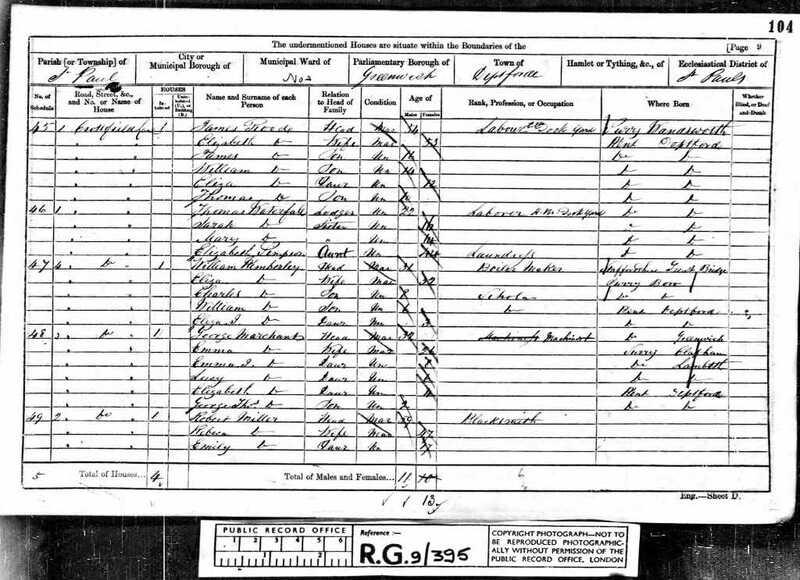 [S21] Marriages of Deptford St John, (Ancestry.com), London Metropolitan Archives, Saint John, Deptford, Register of marriages, P75/JN Item 010.